This premiere has been the driving force getting me through this day!! Yay!! I am watching it right now! 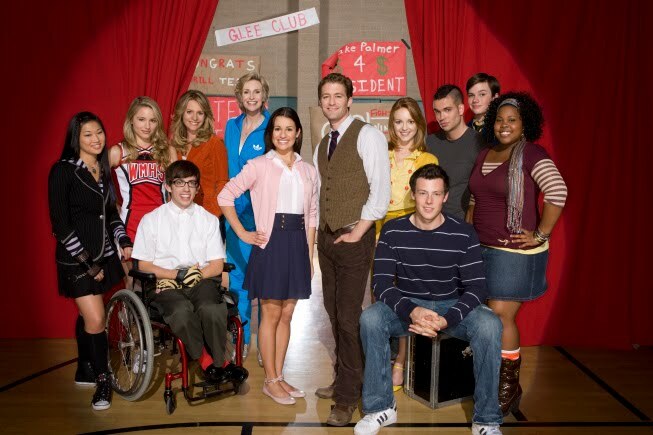 I love Glee!! I can't wait to catch up tonight. I got your message on my blog we are an hour away in Oneonta. I would love info about the fashion show. Thanks!! So, did you watch???? LOL We did! Can't get into it, but I'm glad everything else is back! I loved it, did you love it? I loved it...and next week??? Brit Brit...who I don't love but the show looks great! Cute site you got here...New follower here from the Friday Blog Hops...Hope you'll swing by and return the favor.